This year's bulletin contains information on 633 sites, and 111 of these are in County Dublin. Tipperary comes second with 80 sites, and Galway is third with 36. It used to be thought a bad sign that only a small number of sites were being investigated in any one county — that perhaps the planners were not giving enough importance to archaeological monuments when planning permissions were being granted, and not imposing conditions relating to the potential archaeology of development sites. Now the opposite is the case. Few, if any, development sites where archaeological remains are likely to be a factor now escape having a condition in relation to the archaeology imposed, so that now, if a county is under-represented for its size or potential archaeology, it is an indicator that either the planners are being extra-vigilant with regard to sites with archaeological potential and not allowing development on them, or that these areas are not seeing the boom in development that may be happening elsewhere. 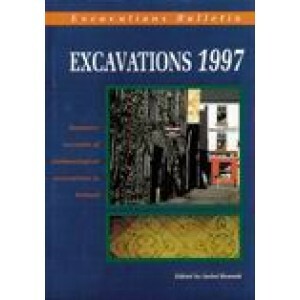 Publication Data Published 1998, hardback, xxii + 208pp, illustrated.